Each $18 lot contains 10 packs. Each pack contains 100 sleeves. 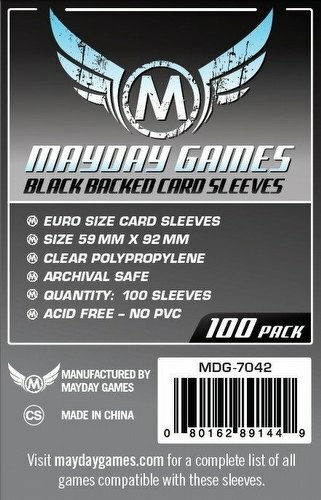 These card sleeves were expertly crafted and engineered for use with all Euro style cards sized 59x92mm!